Hi! I'm Grace, the owner of Grace Niu Design. I'm a formally trained graphic designer (and do this at a 9-5 also!) but my business focuses on custom wedding stationery. Grace Niu Design was created out of my love for print design and paper products. I started doing calligraphy and hand-lettering in 2014, and I love incorporating it into my designs for my clients so that they know they are getting something unique. 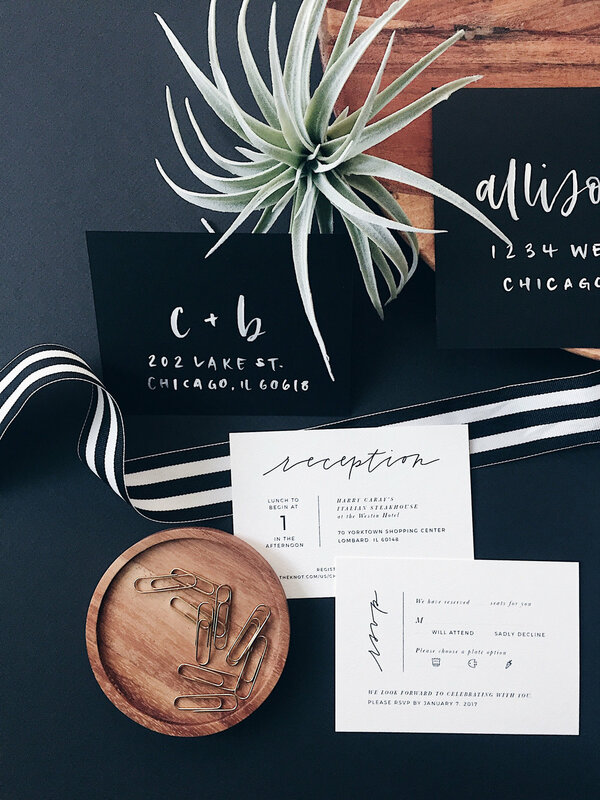 The style of stationery I design is aimed towards the modern, indie, or style-obsessed bride. I also take on limited branding work since my background is in graphic design, and am passionate about excellent stationery styling. Favorite Food: Thai food, pho, basically any noodles. - Open to other work!